Copyright 2015 North Rampart Community Center. All Rights Reserved. 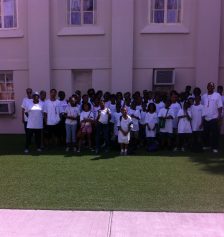 North Rampart Community Center hosts an eight (8) week summer camp annually. Children who are with us throughout the program will have a schedule that varies from session to session with different themed weeks, as well as special events that make each day new and exciting.